Rated 5 out of 5 by 60 reviewers. The 'ring' shape is the best!! Get around to buying these! great - dogs love them!!!! Tasty Treats - 12 paws up! 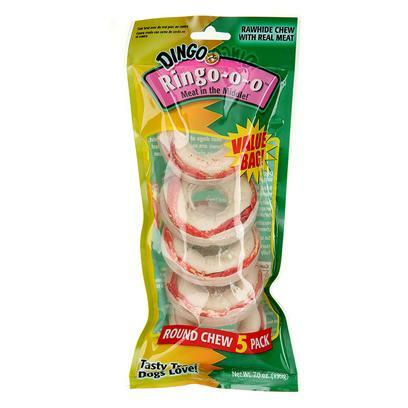 Dingo Ringo's- Can't be Without! Find 'Em In My Bed!